An occasional series highlighting some of our holdings at the Library in Oakland. For a fuller listing of our books, journals, and more, consult the CGS Library catalog. 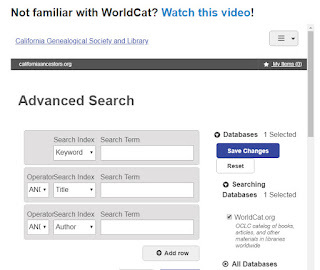 Our catalog is also included in WorldCat. I recently visited the library to work on this blog post for Hawaii and I learned a lot while I was there. The first thing I learned is that not all states have a section devoted to them on the library shelves. For those who don’t already know this, there are maps posted on the ends of each of the shelves in our library. The states that are found on that shelf have been colored in on these maps and the names of the states are listed with their call numbers. It makes it very easy to find the state you are looking for. I could not find Hawaii colored in on any shelf, so I asked Arlene Miles, our current Library Committee Chair, where to find our Hawaii books. Arlene replied, “Did you look in our catalog?” That’s the response Arlene gives to many of my questions – rightly so. I dutifully went to the CGS website and selected “Library Catalog” from the blue box on the left. That action took me to a search box on the World Catalog better known as WorldCat. This is just what it says – an online catalog that shows us what books on a particular subject are in the catalog and where you can find them. 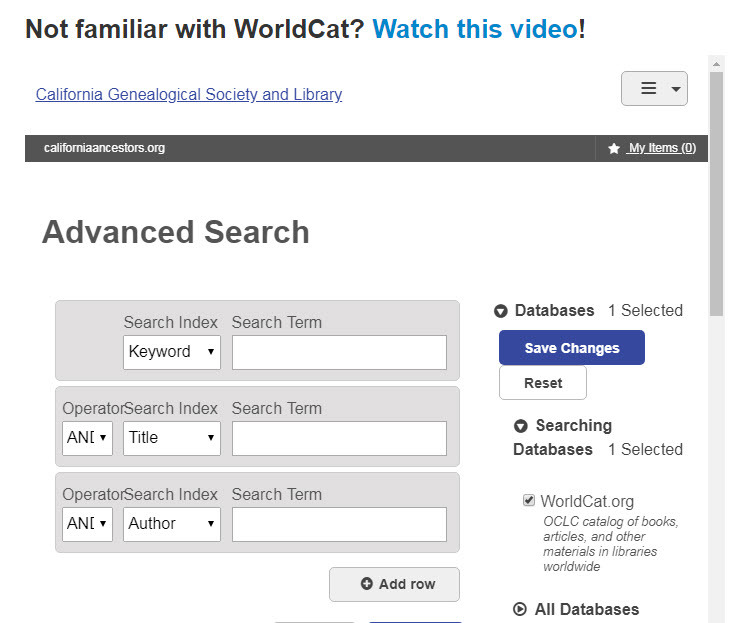 When you select Library Catalog the first thing that pops up asks, “Not familiar with WorldCat? Watch this video.” Following that link will open a video that illustrates how to use the catalog. Or, you can just enter a search term like “Hawaii,” hit the blue “Search” button and see what you get. On our website, the default is set to show you what books are housed in the CGS collection, so when I hit the search button it told me we have 51 books with something about Hawaii in them. 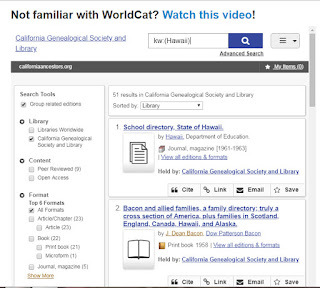 If you want to know where else in the world you might find genealogical material, in case you are planning a trip, you can use the “Search Tool” to select “Libraries Worldwide.”Doing that will tell you there are 706,406 books with Hawaiian content in the world. 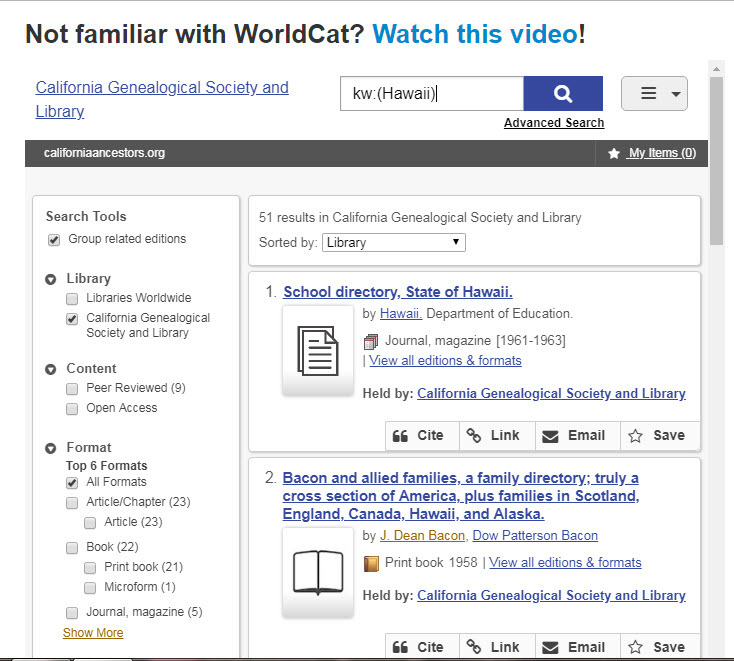 WorldCat lists each item and tells you all the places you can find it. Fortunately, there are other search tools that will enable you to focus the hunt. You can search by format: books, articles, items on microfilm or journals; or by author, time period, or a number of topics including “genealogy.” This online catalog is available to anyone who visits our website – not just members. Once you’ve found an item you think might be useful you can click on the book title and view more information as well as a list of all the places the book is available. I also learned more about using our vertical files collection. One of the first items listed for Hawaii is “A Genealogy of the Wilder Family of Hawaii,” printed in 1916 by the Hawaiian Historical Society. This is a seven-page booklet housed in our vertical files. 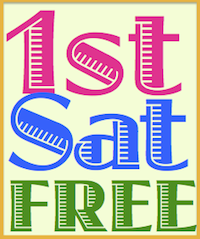 The catalog provided the exact file number so finding it was very easy. Another document in our vertical files was “Thirty Turley Cousins: Grandchildren of Independence Turley and Dora Estelle Hill of Howard County, Arkansas”. Turns out one of the cousins lived in Hawaii in 1968 when the family history was written and that is why it appears in a Hawaii search. I found one of our Hawaii books housed with directories in the “L” section of the library. We have two volumes of “School Directory State of Hawaii 1961-1963.” These paperback books list the names of all the school personnel, and they identify the special schools available in Hawaii including private schools, sewing schools, commercial and marketing schools, cosmetology and hairdressing schools, and other professional and technical schools. One of our books that sparked my interest is “Julia Morgan Architect of Beauty” by Mark Wilson. While this book features mostly Bay Area buildings it also includes the Homelani Columbarium, the Honolulu YWCA building and the Iolani Palace that Morgan designed for Hawaii. The last book I sought for this post led me to our CS section where family genealogies reside. There I found a two-volume set of “Peter and Mary Thomas Their Ancestors and Descendants” compiled by George Mower Hargrave in 1950. Volume 2 is a Supplement dated 1963. Volume one is a First Edition mimeographed book that was dedicated to the author’s father, John Wilson Hargrave. This is a traditional family genealogy – the kind we all dream of finding for our own family. It is packed with facts about twelve generations of the family and well organized, with an index. For most of the books and articles I glanced at, Hawaii was not the primary focus of the item. For example, Mark Wilson’s book is really about the architecture of Julia Morgan and there just happens to be three buildings she designed in Hawaii, so it makes sense that it is shelved with other books on architecture and not with other state collections. Back home, I spent some more time perusing the listings in the CGS collection for Hawaii. Doing so takes more time than standing in front of the shelf and glancing at book titles printed on the binding. Using the catalog also lacks the visceral response to seeing and touching the actual books with their bright colors, leather covers, embossed imprints, gilded page edges, etc. It is definitely a different experience – far less satisfying. On the other hand, it can be done in the middle of the night from my comfy chair and avoids paying for parking.